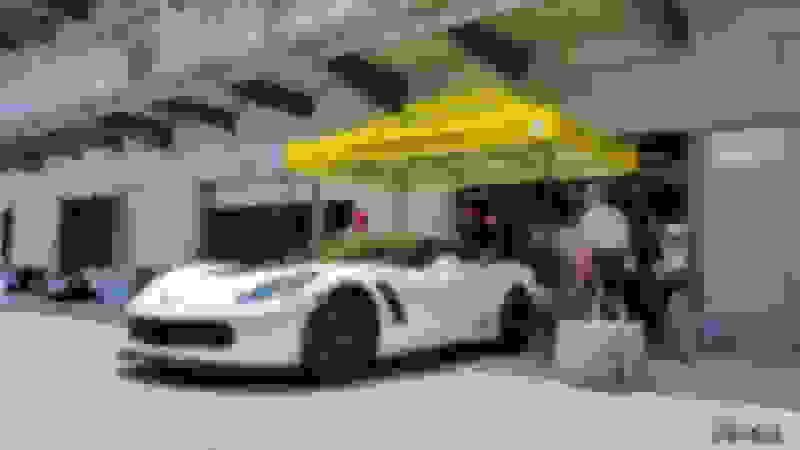 Bloomington Gold Corvette Show is June 22nd-24th, come out and see us! 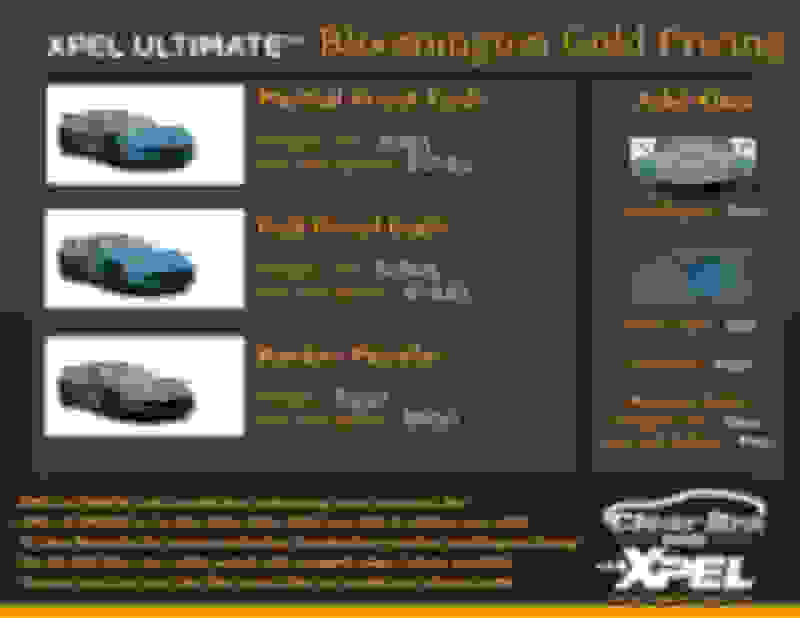 XPEL will be attending Bloomington Gold Corvette Show once again this year and we are teaming up with one of our local installers, Clear Bra Indy. 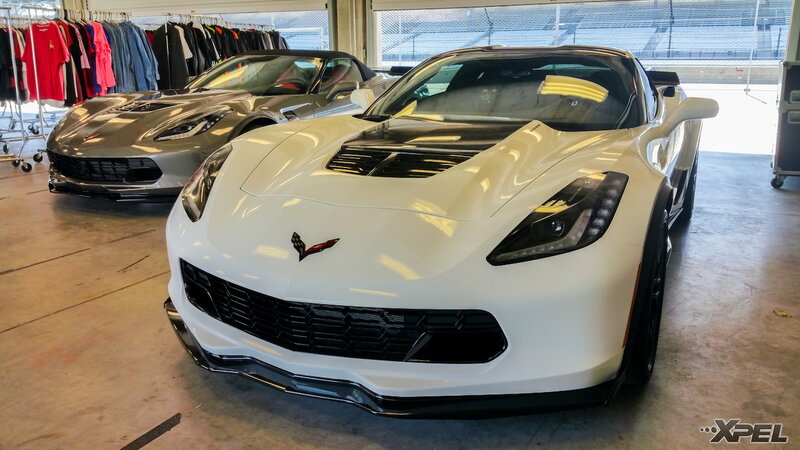 They will be doing on-site installations to help keep your Corvette protected from rock chips, road debris and much more. Clear Bra Indy has been installing Paint Protection Film (also known as "clear bra") since 1999 and they have a true passion and love for their craft. Kyle and his team will be on site doing installation and helping our marketing team show you the benefits of XPEL ULTIMATE and show you the latest and greatest from XPEL. 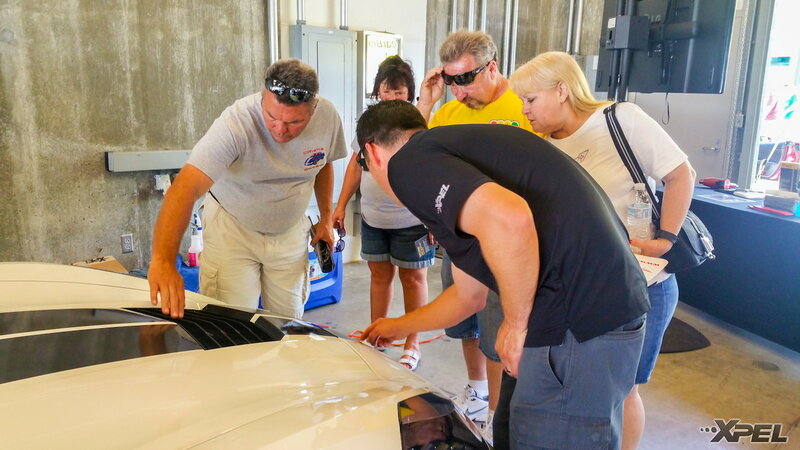 Be sure to ask about our self-healing demonstration if you stop by the set of garages. 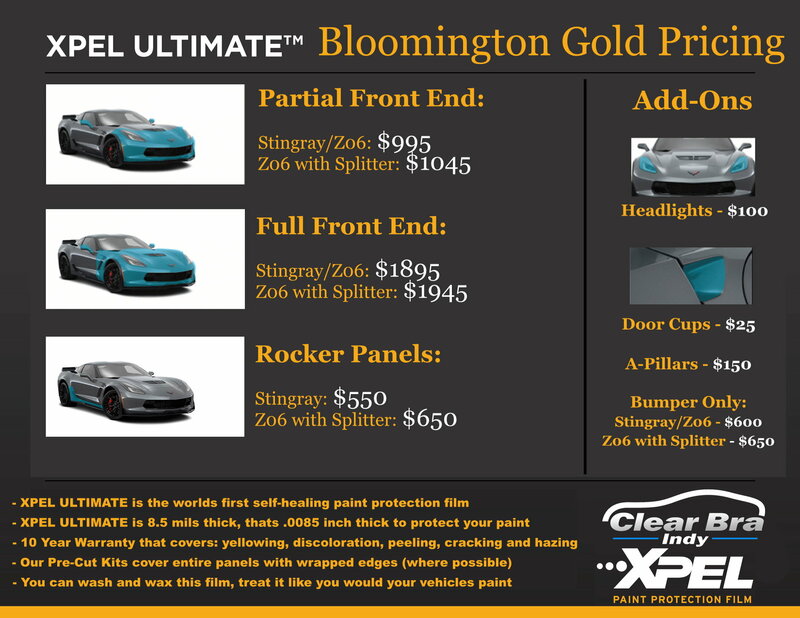 For those that have not had Clear Bra installed on their vehicles, XPEL ULTIMATE is a clear elastomeric polyurethane, that is 8.5 mils thick (.0085”). The film has a 10-year warranty that covers yellowing, discoloration, peeling, cracking and hazing. Will you be attending the show this year? Schedule your installation ahead of time! Last edited by XPEL; 03-30-2017 at 04:12 PM. I just wanted to drop a quick note and say that Kyle and his crew at Clear Bra Indy do an absolute masterful job at installing Xpel's awesome product. I have first hand experience with Clear Bra Indy as they have done my last 3 Corvette's. 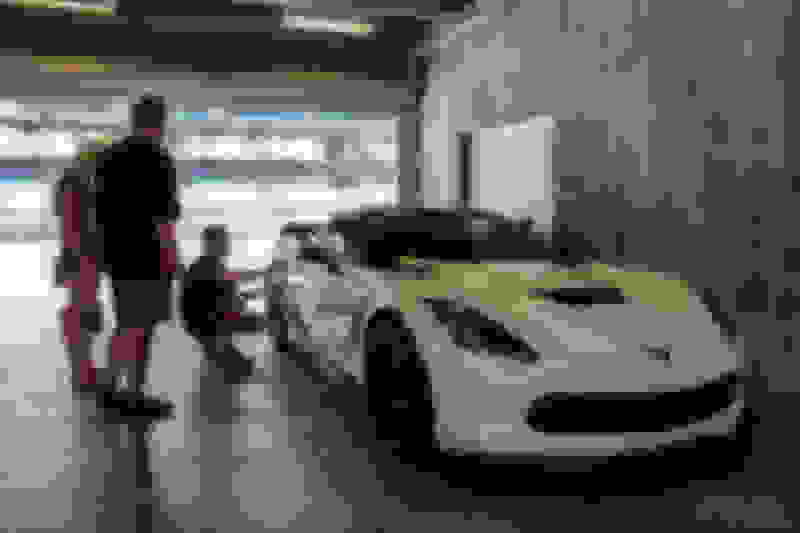 The white Z06 in the first and next to last pic, is actually my car that they did a complete wrap on. I let them use it during the event to show off their talent. I know what I'm about to tell you about is not a Corvette, but I just bought a '78 Trans Am with 26,000 actual miles on it. The original paint was in OK shape, but needed a re-paint to restore the car to its former (actually better) glory. Once the paint has cured (in 30 days), it will be going to Clear Bra Indy to let them protect that new paint job!! It truly just puts your mind at ease when you take your pride and joy out for what should be a stress relieving drive. But without Xpel's great product I was always stressed to the max scanning the road constantly for flying rocks, and cringing every time I would see a bug splatter on my unprotected front bumper. With total protection from Clear Bra Indy and Xpel, those days of stressful drives are no more!!! I just wanted to drop a quick note and say that Kyle and his crew at Clear Bra Indy do an absolutely masterful job at installing XPEL's awesome product. I have first-hand experience with Clear Bra Indy as they have done my last 3 Corvette's. The white Z06 in the first and next to last pic is actually my car that they did a complete wrap on. I let them use it during the event to show off their talent. I know what I'm about to tell you about is not a Corvette, but I just bought a '78 Trans Am with 26,000 actual miles on it. The original paint was in OK shape but needed a re-paint to restore the car to its former (actually better) glory. Once the paint has cured (in 30 days), it will be going to Clear Bra Indy to let them protect that new paint job!! Thank you for the kind words! Are you going to be attending Bloomington Gold this year? Roll call for Bloomington Gold, who will all be attending? Last edited by cep1932; 06-09-2017 at 04:45 PM. Although I don't have any experience with CBI, I will attest to the quality and durability of Xpel. Had the nose done on my 2015 Stingray right after I bought the car. Much better than the 3M product I had on my 2008. 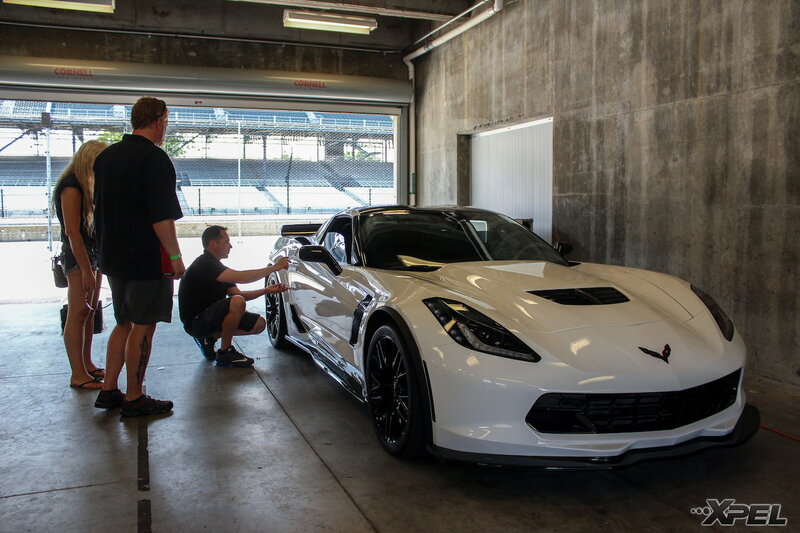 Share Your Corvette Funfest Memories, Win Classic Funfest Yearbooks!